Intercom allows you to communicate personally with every single customer. "great product, AMAZING customer support"
"Bad Billing System and Slow Customer Support Response"
Their Features was good, you pay what you get with Intercom. We’ve verified your eligibility and are excited to welcome you to Intercom's Early Stage Program. When your trial ends on Feb 12 2019, as part of the Intercom for Early Stage Program you’ll pay just $49 per month for all of our Pro Products and Custom Bots........."
Something look strange? Yes, the date look strange, the email I received is on 13th Feb 2019 but my TRIAL ENDS on 12th Feb 2019?? 14 Days Free Trial Ends in -1 Day. What a joke. But I don't easily judge people, I make a search on my email and found that I ever sign up for their Free Trial on 2nd Dec 2018 (Not Early Stage Trial, I don't know is it the same or not) and I cancelled my free trial on 3rd Dec 2018. Looks like you've canceled your Intercom subscription for your app, Maksimal Indonesia. As a result, you'll lose access to Messages Pro, Inbox Pro, Articles, and Custom Bots on Feb 26, 2019. If you think this was done by mistake, you can restart your subscription here, in your billing settings. If you have any questions, or just want to send along some feedback, please reply all to this message!" This is my first time being overcharged for what I didn't use in a Live Chat Company. "Increase lead and make customer happy"
The user interface of the software as well rules which we set to distribute the leads. We have also tried some more rules which we set to show it in different zone and it work really well. The support team is a bot slow as per the working hours but do help in resolving our issues. Its been more than a year using the software but the only issue which I faced was because of the browser where data get cached and the messages are not getting update real time. This is the problem which I heard from all the users in the company. Browser based which sometimes gets irritating because of the browser issues. If you are ready to handle the browser related issues then you should definitely go ahead with the product. the ease of use and the possibility which are possible in the product is beyond expectation and does help us to improve the business. "The best customer support system, for all types of cases." It is a very complete customer support system, in which all kinds of problems can be solved, thanks to its simple appearance, but with the necessary tools, to give a good support of all kinds, it is also very easy to interact with new clients, and create different types of records, to locate all types of people, in different databases, where they are divided, in the different stages of support they need, to be served. Sometimes I feel that notifications are going to drive me crazy, this system is a bit annoying, since they appear everywhere, when I'm working hard, and they make me lose focus on the support I'm providing at the moment. We solve all types of cases of customer support and sales, from the same application, creating complete reports, of all the processes that are presented daily in this area, in this way we have an optimal control and we carry out a complete follow-up, to each one of our clients, from the first moment that we initiate contact with them, thanks to this we exceed our goals of customer satisfaction, month after month, providing them with an optimal and concrete attention in all the points that can be covered, thanks to this we have a total control, over the entire support and sales area, where we know, at what points to improve, and optimize our service even 100%. It's modern, easy to set-up, data loving, and always moving forward. Intercom has a plan for who they want to be and it shows in the software they build. I've used Olark, Zendesk, and Groove and Intercom does it best. When my customers go out of their way to mention how much like they like the chat tool you know that Intercom is doing something right. Their data filtering is great once you start collecting that information. We've had so few issues(other then a pretty bad spam filter issue on Intercom's end) compared to the ongoing issues with Zendesk that we faced. I appreciate the thought leadership role intercom has taken in doing customer support a certain way. They regularly release guides on doing customer support in an awesome way. It feels like they are adding more and more support for CRM features and I would prefer more marketing features. They are a long way from a CRM replacement so I wish they would integrate better with companies like Hubspot. (they have an integration, but it's... ugly). We can group our customers emails and chats with an interface they have easy access to by logging in. We have a shared inbox where we can all jump on responding to. We've recently starting posting via API data about our customers to Intercom so that we can start sending targeted messages to our customers. "Personal Support at Scale with Intercom"
Intercom's messaging and tools and chat support are a game changer for our small company. We love having the ability to provide fast real-time support for our customers, and the additional tools and apps that Intercom provides only amplify that. The Help Center integration that connects directly with our support messenger makes it easy for our customers to find what they need quickly and has cut down on our less effective conversations because they are solved through articles. Overall Intercom is an intuitive product that makes it easy to connect with our customers when they need us. As a heavy user of the Help Center tools, it feels like this portion of the product is still incomplete and can't be used to the fullest potential that our team needs to. We've had to use an external database to manage our articles because Intercom currently does not have any tools for us to do this in app. It seems that with the shift towards marketing and sales related products, those customers using the product primarily for support suffer. With Intercom we are able to provide excellent support that many of our competitors cannot compete with. Having the ability to quickly understand who a user is and how we can best help them allows us as a team to take our support to the next level. Without Intercom we would not be where we are today! "Scalable, user friendly, constantly improving"
Intercom is user friendly and just a joy to use. One of the best parts about Intercom is it keeps all of our customer communication and contact under one roof. We handle customer support, marketing campaigns, and our knowledge base all within Intercom. With Intercom, we've scaled our customer base from 1,000 to 20,000. Sometimes there are lags and there are semi frequent bugs. For example, they had a deliverability issue a few months back and our email open rates went from over 60% to under 10%. That was a rough couple weeks, but Intercom credited us back and was ultimately helpful. I think Intercom is better for B2C companies than B2B companies. B2B companies may benefit from more of a ticketing system like Zendesk. We're a startup, so we've used Intercom to scale our customer operations and focus on customer retention. We've realized that Intercom is SO much more than a live chat software. We use it for everything and anything that touches customer communication. "One platform to rule them all"
Intercom is a great software that allows us to to centralise all of our communication with our customers, to one simple-to-use platform. I especially like how chat, articles and emails are integrated in a way that simply makes it easy for us to keep communicating with our customers, even with a team of 3 people that overlap in conversations. Intercom is somewhat limited in the email-part of the platform. For example its not possible to keep Email Templates of the actual content to be sent in an easy way, that all of our team can choose to send out from, since we often send the same message, with minor changes to each customer. Its also not possible to set a fixed email signature for each team-member - this has to be chosen manually as a template that wraps around the main content. Communicating with customers is both important but can also be somewhat complicated, especially when multiple people communicate with the same customers. Intercom solved this for us by making it easy to keep track of our clients and what we have talked to them about. They also facilitate the live-chat function, which we use for 80% of our communication. Further, the Articles feature is an amazing way of integration documentation, that is easy to include in messages to customers. "One of the coolest systems I've used"
I love the design of the UI and the support team of Intercom is great. It is very easy and simple to use Intercom for our business. We still consider ourselves as small team, so for us it is very important to see messaging boxes of colleagues. In case someone is out of work we can easily jump in, check the conversations with their customers and help right away. A great tool, innovative solutions and constantly improving, so if some feature is missing at the moment, you can be sure, that they are working on it. We are using Intercom for customer service and it works fine. Customers really love chat feature as it is integrated in our management system. We can inform customers about new features with in-app pop'ups and also easily send personalised messages based on the filtered grouping. We have quite a few segments of customers so with Intercom is very easy to reach every segment. "Marvelous tool to make your customers happy"
Intercom is a great solution to support your customers. You can simply multi-task and interact with many customers at the same time, as you can see all your customers support requests dropping into one inbox. Another benefit is that you can forward customer requests to other teams within the tool, which saves your time and makes your as well as the work of other teams more efficient. It's important to mention that there is an option for those who would like to build a knowledge base in Intercom. In that case, every customer who tries to contact you will receive a few auto-suggestions cleverly picked form your knowledge base that can actually resolve a customer's problem without interaction with a real support specialist. Isn't that a miracle, huh? For your convenience Intercom offers a big variety of integrations available in the Intercom appstore. For instance, you can connect Intercom with your CRMs (Salesforce and Pipedrive) and create deals/leads and send conversations to the CRMs. Just try it our and enjoy! In my opinion, a use of Intercom in our company resulted in faster and more efficient customer support. Throughout my experience I noticed that I can reply to more customers than I could in any other tools. "Never forget about your customers"
- new integration with GitHut, we were pleased with this news. Crowded user interface. It began to work slower and not as stable as before. It is difficult to monitor all notifications. I would not refuse more detailed reports. Do not forget about your clients, they are the basis of your business. We need to respond promptly and solve problems as quickly as possible. Intercom can easily help with it. We use Intercom mainly for support work. We receive and process tons of feedback from our customers. We also use it to notify our customers about new versions of our product. We are using intercom for last 2 years and I can definitely say that the tool has evolved a lot. We were able to integrate intercom easily with our current web applications and website and we able to provide a live chat support platform to all our customers which lead to an increase in customer satisfaction level. Intercom also provides us to easily reach out to our existing and prospect customers via different sources. You can create messages that and can send them via in-app chat, emails or in-app popups. This is very useful to send product updates information and to constantly keep our customers engaged. We can also create different rules for different types of audiences and can automate the complete customer onboarding using a set of emails and in-app notifications. Intercom has also recently launched a chatbot which can be easily configured to handle a lot of your support cases and can keep the customer engaged till the time real agent takes over. You don't have much control over the user access levels and can only restrict users access to some level. Also, intercom does not currently provide API' to get the list of Articles and thus you cannot host the articles created on intercom inside your app. intercom also does not allows us to put restrictions on allowing only the logged in users to access articles. Reaching out to customers for product updates. Real-time chat support for our customers. "Great opportunity to work effectively. " We are working every single day and til now we don't have bad issues to use it. We do not complain about that platform at all. The platform has all working tools which we need. I recommend it to you and I guess you will like it a lot. You will have an automatic system which will help you to make marketing system work better. In your hand will be a great key with which you can easy to increase your sales. We have a better opportunity to work together in one place, powered by real customers date. We can see the productivity of messages and test edition to develop results. Very understandable process. "The backbone of an end-to-end customer experience"
The product is reliable, time-tested, and in frequent iteration towards newer features that allow us to innovate further in terms of how to deliver a great customer experience. The team is great - everyone from the company is eager to discuss our challenges, come up with ways to integrate our feedback into the roadmap or come up with ways to make our needs come true. Truth be told, the new pricing model is a steep price bump from the previous level, and makes it significantly more expensive than competitor products. Consider what you want to achieve with it, and do your research. There's a lot of other competing products these days, but as far as feature completeness and roadmap, Intercom comes up in the Top-2 list for me. Being able to design and iterate on an online end-to-end customer journey without requiring IT effort to customize it and make it more personal. "Easy To Use Tool For Customer Service"
The tool is great for answering customer questions and issues in real time. If you have multiple support staff, Intercom allows you to create "buckets" for each person, so tickets are dispersed based on who's working on it. The snooze feature is also handy for removing the ticket from your "open item" bucket. It also allows you to see a variety of information about the user and any previous conversations all in one place. There's not much I dislike about Intercom. It's the first and only ticket support system I've used, so I don't have anything to compare it to. We utilize Intercom for customer support for our Facebook integrated App. It's allowed us to easily and quickly interact with our users. We recently had an influx of new users and it helped tremendously with seeing what issues users were having and being able to segregate the tickets to various support staff. "Beautiful and professional software to increase your conversions!" Initialy when we started with our marketing campaigns, we observed that our website visitor’s bounce rates were very high. After using intercom we started doing live interactions with our visitors and we found that they had a lot of questions before they wanted to make the purchase. So the live chat gave us this opportunity to interact with our prospective customers. Also, as we all know that these days, customers need information faster and precise, we saw that intercom provided a strong solution through which we could save long answers to a lot of frequently asked questions and this made our conversation with customer fast. This apart, I would like to say that intercom’s chat’s UI and visual design is premium and of high standards. This matches very well with our website and makes us look richer and of high quality to our customers. The chat bot should be allowed also for website visitors and not only for signed in users. We get lot of queries from new visitors and at times when we are not available to answer them. It would be great if chat bots/ auto chats can be introduced for new visitors who have not signed up. Also, when a visitor drops a message on our website, we get notified almost after a minute on our intercom IOS and android apps. Because of this we sometimes lose a lead. It would be great if we get notified immediately like how we get notified when we our using web browser. Yes, I highly recommend Intercom to all startups and businesses. They made a huge impact on our business. It is very technologically advanced software and they are introducing new features every now and then which is in line with new requirements of the business. Our main issue was there was a high bounce rate and after introducing Intercom, our visitors bounce rates reduced and our conversions increased since intercom allowed us to do live chats with prospective customers. "Intercom helps us further simplify and modernize the process of booking fishing trips"
Being able to automate visitor check-ins and follow up with new users. There are ways to constantly experiment with, optimize, and simplify messages to work towards better conversion and retention. It would be helpful if custom bots could be created for users and not just visitors. It would also be nice to control which conversations result in notifications, so that there are no web or email notifications for users who respond to a custom bot but end with a conversation being closed based on their path wherein no live response is needed by our team. Try it out and constantly experiment. At first, we realized the benefit of capturing more leads, engaging customers, and being able to provide customer service and point them in the right direction manually. Then, we saw ways to automate pointing them in the right direction or answering FAQ's and have been able to cut down on the time we spend on customer service. "Fantastic software to interface with leads and current customers"
It is very simple to use, from the interface, to the collaboration within the app, to even setting up automated messages. It is not complex and they are continuing to make improvements to things that would seem to be complex - like integrations. I don't like that there is not a case management system. I have heard of some work arounds, but it would be great to have a way to track longstanding issues. We use other another platform to track our support tickets (anything that is not resolved in 24hrs). We have a lot of chats coming in, so it is important not lose some of the issues that are a longer term fix. I have heard of others using tagging, but I don't know if that would work for us. I would consider your volume of customers as it can be very expensive with a large number of users logged. Consider if you need to have all of them there. It can act as a CRM as well. I would also consider what information or questions you want to get out of the app. I would start really simple first. For example, we have so many tags that it is overwhelming. All of our customer support and some lead generation is through intercom. It sits on our website and in our mobile applications. It makes it easy to get inbound queries and reach out to customers. 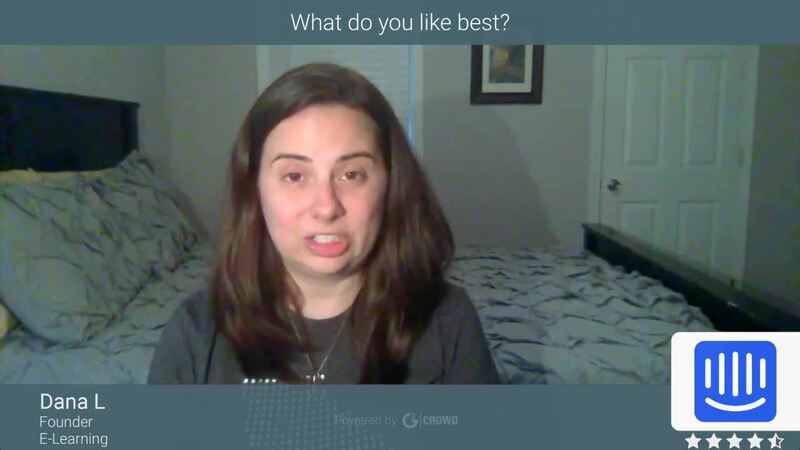 "Great customer chat interface & email drip-campaigns for on-boarding and lead nurturing"
I really like the email campaigns for nurturing leads and on-boarding customers. They are really easy to set-up, edit, test and monitor results. Creating custom tags and using Intercoms own tags, are fantastic and mean that you can be super targeted with your messaging. I would like the ability to add custom variables and sections into my emails (for personalised copy) so that I don't have to replicate campaigns for different user types. I'm sure I'm not the most advanced user, but I have about 5 versions of each email depending on customer type - so it can be a bit challenging to manage versioning. Just give it a go - you'll be convinced! Chat: giving prospects and customers the ability to contact us instantly to find out about our product and problem-solve if they have technical issues. Email campaigns: staying in touch with our leads and customers regularly to ensure they feel empowered to use our service knowing that were always there if they need help. "Easy chat, love the options of pushing messages to customers as well. " The option of pushing messages to customers - helps us stay connected with them and inform them of updates, etc. Sometimes when we create a campaign the messages do not show up to users, and we don't know why and can't fix it. I also don't like that as a user, I have to work to make the notification number disappear. If I got a message a month ago and I hit "x" it still shows a notification little red circle on the chat icon. Also our sales guy cannot get notifications. He downloaded the app, he's worked with their support, and no matter what he's done and tried, after hours and hours, he does not get notifications and Intercom can't figure it out. So if I get a notification of a question that should go to him, I have to call him to let him know to login to intercom and go find the conversation. Chat - hearing from customers what they need in real time. We have gotten WAY more feedback than ever before - despite a feedback button we used to have where the chat icon is now, which is really helping us to understand where our users are getting confused and how we can improve our UI and product offering. That is HUGE. It's also solving the issue of communicating proactively with our customers while they're on our platform, directly abut their experience. I love that intercom knows if a customer has seen or done something before or not, and I can then push helpful informaiton to them to increase user adoption. We haven't used this feature nearly as much as we want to, though, and that is b/c it's a bit technically confusing to me and requires more time to figure out than I have available. "Using Intercom.io in marketing and supporting SaaS users." The instant communication we have with our users has been one of the best features. We are notified instantly when users find bugs. We get lots of great feedback, suggestions and feature requests. We are starting to build out the Articles area with tutorials and other user support information. I think the Articles section of the app needs to be more flexible in terms organizing the items and having more flexibility as to layout. As we grow we aren't sure it's really going to be the best user support portal. For helping users get quick answers to common questions, it's great, but as a learning portal, I'm not sure it's robust enough. There is a learning curve associated with all of the various features. Best to split them up among your team and let others do setup and then educate the rest of the team on usage. Trying to do all of them yourself can be frustrating. Getting notified of bugs instantly is critical. Also, users help us understand how we can design a better user experience. They often ask questions about features that we think are clear but we see how our design can create confusion. Users will more readily use an instant chat rather than sending an email to a support address. If we can respond quickly we dramatically reduce frustration and fall off. "Complete tool for customer service and customer success teams to communicate and segment customers"
It lacks some tools to better segment our customers, for example: using both "and" and "or" conditions in the same segment. Also choose the order of attributes would be great so the agents could quickly visualize useful information without scrolling or clicking to open more data. The best system to engage with your customers with you don't need to create support tickets protocol number. You can easily implement it in your system and your employees will learn how to use it very quickly. It works both for your help desk (customer service) and your customer success managers to engage, segment and communicate with your customers. It is a really reliable and well built solution that are always releasing new features and evolving. Help desk with customers and leads. General communications with customer. It is very easy to use, new employees could quickly learn and start working without so much training. I came across Intercom after a sour experience with Zendesk. 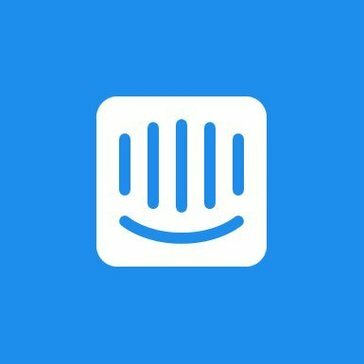 Here is what I like about Intercom: 1) Easy to use, 2) user experience is a 10, 3) support is excellent (which Zendesk was until the sale was complete), and 4) it helps as a marketer to drive sales. I have referred several clients to Intercom. There have been no complaints. My team finds it easy to install and teach our clients on how to use it effectively. There are no major dislikes. I do have one wish though and that is when entering contact information for a lead, I wish you didn't have to enter +1 for phone number. Simply the best live chat and support platform on the market. I have tried them all. Intercom is easy, scalable, and helps sales and marketing. The user experience is stellar! I highly recommend Intercom. Helping our clients align lead process to sales and marketing. "Intercom has been a life saver for us"
Intercom has everything you need without being over-cluttered and complicated. They have done a remarkable job with the layout and grouping together the different apps so its simple to use on a day to day basis. The reporting on Engage and Respond are super helpful for our business. Utilizing engage allowed us to save tons of money on developing in-app tutorials. Respond and the Help Center are the backbone of our customer service. We originally had some difficulty when setting up the attributes to properly track user engagement but once we got the hang of it, it has been super helpful! Customer support, customer successs, documented help resources, customer onboarding, in-app tutorials. It has made the process so much easier for us to stay on top of day to day customer support and the reporting has been very helpful for our team to understand what is working and what isn't. "Intercom is the next great chat bot - get new business & talk to customers"
The product is always improving. It's smooth, modern, and fits a sleek aesthetic. There are lots of ways to customize it (perhaps too many!). The chatbot helps you build trust with customers and can be integrated with dozens of outside apps. It's the chat of the future. Customers also love typing on this chat. Oh, the alert sounds are nice. Clean, modern, fast, and better than competitors. Intercom is worth the money. We made our money back in two months. It can be expensive for new companues, even with the full-package start-up offer. It doesn't feature a live chat - thats the one thing that, I believe, would truly complete this product. For non-tech people, find a developer who can install Intercom on your website for you. Other than that, it's pretty easy to use. What I love about this company is that they are clearly iterating. Their hunger to improve and grow is demonstrated through their podcast and ebooks. If you're looking to build trust with the customer, Intercom is for you. We're talking to website visitors who message us first and answering their questions while plugging our products as obvious solutions. The clean interface, nice sounds, and smooth transitions of the chatbot create a welcoming environment for the customer. We've realized the customers like talking to our Intercom operator because our auto message and user interface are easy to approach. "Dynamic software that helps with all things Client Success"
We love the easy conversation management, and how it is all integrated with the articles and auto-messaging. They also do a great job continually releasing new features to make things easier. Just recently they released an option for you to design your chat area. Meaning you can have a variety of links and sections that people can view when clicking your chat icon, with an option to start a conversation right at the top. This has allowed me to put links to my calendar for people to schedule calls, or help center so people can find their own answers. Would really like the ability to customize the help center. Would be great to choose layouts or just offer more customization within the articles. Would also like the ability to push messages to people based on the browser they are using. You really do get the most value when you have all features activated. If you wont be using something like help center or even the leads aspect, make sure your other systems will connect. Having the data able to communicate is a pretty big selling point (to me) when thinking about the price. Really intercom is all of our client-facing communication. We do sales through hubspot, but when they are in and using the system, intercom allows us to push real time communication. I think the true benefits come in with clients feeling like they are in control. They have the power to look up questions, schedule calls, and chat all right in intercom. Intercom is amazing, one of my most prized featured is the operator, the operator is one of the most sophisticated artifical intelligences I've ever had on my site, not only does it message you when you open the site which brings sales and engages new visitors, it has automatic replies based on a knowledge base you put together to ensure all customers get what their looking for. The only downside to Intercom is it's price for small businesses, it's a far investment for a LiveChat application. One of the main problems I solved was engagement, at the beginning we had serious trouble getting sales, about 2-3 a week, but when we installed intercom within a day we had 2-3 sales a day. Intercom is highly beneficial for small businesses to get those initial sales and even better for those big businesses to grow their profit by a huge margin. "Customer Service for the modern world"
This system allows us to interact with multiple customers are once. We can send screen shots, videos, and most importantly GIFs. Seriously, our customers love that we can send them silly gifs. It lightens the mood and make the assistance seem less stuffy. One thing our business really needs is the ability to set away messages. We can set up working business hours, but there's no option for us to temporarily close to go to a meeting. This is a feature we've been asking for for years and would improve our communication greatly when we're pulled away from chat. For a chat support product, it's quite difficult to reach Intercom via their own chat for support. I do understand they are West Coast based, but they should consider extending their support hours. We've managed to go to a call by appointment option instead of call on demand customer service based option within our company. Customers know that we're chat based and for the most part love that they can get an answer quickly and get back on the road without having to ask for a call back. "Intercom is an easy way to integrate with my system and communicate with my customers." Intercom is not only software support service, but also software for marketing. At the same time, we can use it both in the office and in mobile applications. This service allows us to generate a client base and provides an opportunity for segmentation of the audience, which greatly facilitates the work. Intercom has a huge set of functions, so it's just a bailout for start-ups and small businesses. Simple interface. In addition, Intercom easily integrates with a large number of services, not only with external, but also with our internal programs. A little incomprehensible pricing system. Intercom will allow you to get away from having to run different software separately for support, sales and marketing. It is easy to use, has an excellent design, interface and support. Another plus is a mobile application that allows you to quickly contact customers and solve problems wherever you are. Thanks to Intercom, we managed to provide our users with incredible quick support. This is our advantage over competitors. And, Intercom provided customers with the opportunity to ask us questions in the chat when we are out of touch, and this ensures that all their problems will always be resolved. "Great conversation tool for small companies"
The best thing about Intercom is the mixture of power and simplicity. For companies that are just getting started and want to be customer-centric, this is a great tool. It helps you interact with your user in a simple and friendly way, focusing on what is important for them. The campaigns are amazing for retention and building better experiences. That Intercom has decided to focus on the Sales Qualification and Marketing rather than on the support. I love the tool but it does not have the features that a company with a larger size or scope requires. For example, the help guides lack the capability to be translated according to the user language. We are reaching 13 countries in the next year and using Intercom would imply to create 13 different articles per each one and have them allocated I don´t know how. I wish Intercom worked more on improving current support tools. Another thing I wish could be improved is the reporting section. Support and user retention mainly, it is simple, friendly and the information it gives about the users is great. "Intercom allows us to service our customers quickly and efficiently!" I love that we have the ability to create surveys, messages, campaigns, etc. so we can reach out to our customers in the most efficient way. The analytics that Intercom provides is also really valuable. This helps us better understand trends of our customers and their employees so we can create something that is personalized for them specifically. We're recommending Intercom to several of the small businesses we work with, and continuously get feedback about how they loved our recommendation. This software also allows me to see reports on how I'm doing, as well as how our customers feel about my performance. This is incredibly helpful since we're a SaaS company and customer service is our main goal. There are a few restrictions when creating campaigns, live, or manual messages that will sometimes cause you to have to create an entirely new campaign, etc.... however, you can duplicate them and make edits easily. Anytime we have feedback on something that we don't like we tell them and always get a response. They're great at informing you of upcoming changes and are excellent at reaching out to customers who specifically requested something they have decided to change. I have no recommendations at this time! We're solving the ever-evolving communication problem that most small businesses experience. It's easy to send an email and forget, but Intercom allows us to collect specific data so we can continue to personalize our messages so we can build relationships with our customers. The user interface is very easy to use, quick to learn and plenty to explore. Functionally it's quick, and has everything that I need to help get my job done and provide adequate contacts to customers. It's difficult to get particularly in-depth reporting done using Intercom; while a lot of the reporting resources are great to let the team and I know how we're doing, there could be more to hand to get some real data mining down. If you want an easy, functional, quick service to help get in touch and maintain contact with customers, all while having a place to reliably store internal notes and information for your colleagues to keep updated and maintain a high quality of service, Intercom is the way to go. It's full of interesting features and, while the reporting resources could be more in-depth (my personal preference), it has plenty to keep the data mining side going. Intercom has become the backbone of our customer communications. It's allowed us to have a quick and easy way to keep in touch with our customers, as well as a central place for any reference notes on their issues. "Game changer for real customer success"
Everything is personal and changes the once distant customer service industry into a personalized experience to give each client attention to make sure they are successful and satisfied while using our platform. Some admin settings are over my head, and most of my teams, but Intercom support is always there to help out. It would be nice if the settings and filters for auto messages were a bit easier to manage. If they were I think we would use intercom even more thoroughly for customer success and marketing. It's a tool we are always logged into and has made our team more engaged with customers, aware of needs, opportunities and retain a larger amount of clients. Intercom allows us to reach clients at a distance, send heavy documents and positivity in seconds. It has shaved HOURS off our customer support and allowed our Customer Success team to focus on new avenues of helping customers innovate and grow their brand while we build quality relationships for better retention. "Must have for a Saas business"
Intercom allows us to engage with our users in an effortless way through in-app message and automated emails while keeping track of our users log-ins in our tool. I like the ability to tag users and company and then create segments. There are a lot of conditions available when filtering, thus allowing to create precise segments that target specific users or company. continually roll out new feature and their support team is accessible whenever I have questions. I once wanted to bulk edit some of our users by exporting them in CSV file and then reuploading the CSV file with a field modified. While the CSV file export was possible, re-uploading the file to bulk edit is not an available feature. Aside from that, I really enjoy using Intercom. They continually roll-out new features and their support staff is available and effective when you ask them questions. We use Intercom for several Saas business tasks such as engaging with users both manually and automatically as well as tracking users behavior within our app. We also split our clients between our different account managers using Tag and Segments. "Perfect for live conversations with clients and onboarding automation"
The automation features and ability to filter and segment users and leads. It's really easy to manage enquiries internally and pass them to team members. The app is handy for weekend customer support as well. Check out their podcast as well. Some good information there for marketers and customer support teams. We've added some help and FAQ pages which has decreased our clients' dependency on the CSM. We'd like to be able to add a workflow to the request a demo process. If we qualify a lead - we'd like to demo to them, if they don't qualify, we'd like to give them a video walk through. Being able to implement the same chat via Facebook messenger could be cool too. Having a few ready made templates for common activities would be good too. Take a full look throug hthe integrations and explore just how you could use this platfrom to its full potential. There are a lot of different ways to leverage the tools. Live Chat and onboarding automation. We also use it for newsletters to our clients and outage notifications. It's been really easy to follow up on email marketing with the campaigns feature. The tool is also robust in being able to create tags from actions and custom fields in the database. It's really easy to manage enquiries internally and pass them to team members. The app is handy for weekend customer support as well. They always improve intercom adding new features. Great customer support that help to solve problems and suggest best way of using Intercom. Not flexible filters. You can choose rule match "all" / "any" to all, but there's no combining for multi-filtering. For example - I'd like to choose users with 3 custom data fields, and three countries. If I set "All", I'll got rule that will give me users with these custom fields and three countries mark at a time. If you familiar with this situation - you'll get 0 users, because they can't belong to three different countries at a time. Another scenario - I choose "ANY". System will give me bundle of 6 user groups, that match first custom data, second custom data, third custom data, first country, second country, third country. "Game Changer for Customer Support "
What I like the most about intercom is the fact that it can be integrated with multiple types of website or other apps and services, making it versatile to the needs of the business. More than that, the ability to create automated behaviour based messages, have templates and drafts as well as have a team that can have a large number of members for customer support makes it ideal. Not necessarily dislike but I believe a part that can be improved is the integration with services such as Slack. The point of improvement would be the display of messages in Slack channels; if this would be more easy to follow and less bulky (the notification and the message displayed) it would be even more useful. Make sure to explore all the available features and also chat to the Intercom support team (not surprisingly, they are great at customer support); You can also integrate Intercom with your apps such as Slack and get a notification to always be aware of any new message. Make sure to test and double test all of your automated messages so you don't confuse or bombard your potential customer with information that is not always relevant for that time or touch point. Also, they provide some video tutorials as well as webinars, so join in and learn more! I have been using Intercom for the past year and it helped improve customer support and thus customer satisfaction as well as nurturing leads and converting them through multiple steps of the customer flow both with automated messages as well as live chat. "Ease of use, slick design, always improving"
The ease of use and how it seamlessly integrates with our app. Our customers appreciate how easy it is to communicate with us. Our staff on the other hand love to have a modern platform which they can use remotely at any time. Most advanced features regarding automation (bots) can only work with user in one language (English). For a multi-language product, it makes it less relevant. They're getting better at this, but the interface can be slow to load depending on the module. They allow us to easily support tens of thousands of users with the Inbox product and redirect them towards the help center for self-support (article product). We also use the "Engage" product to automate the onboarding of trial accounts. With intercom we raised the bar of self-onboarding clients to over 50% of our new customers, each month. 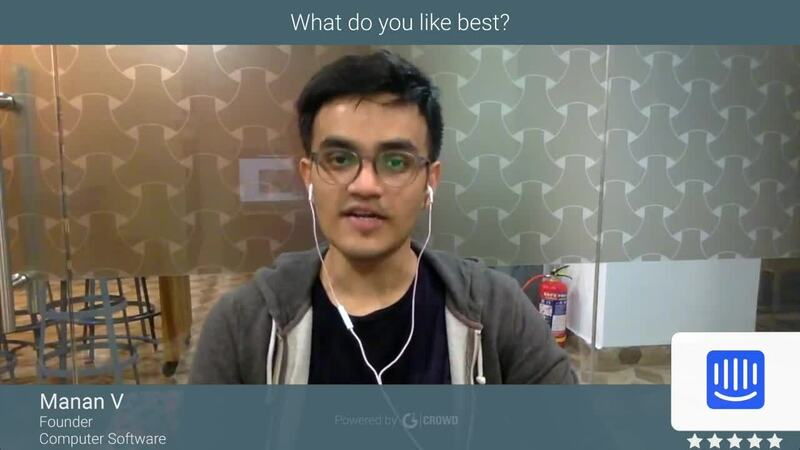 "Good way to get chat on website"
With Intercom, users can navigate to our website and they can leave a comment or a question through the chat (which looks to be directed to a member of our team). We then integrated that chat with Slack, and we can all communicate on who is going to respond. The only thing I dislike is when the request comes inbound and it is assigned an annonyous icon and color, it can be hard to know where it came from. If you are considering Intercom, I recommend having it integrated with Slack as well if you have slack. That way, you get the notifications real time to both email and your messenger system. Additionally, it helps to have someone logged in real time that can respond to the chat requests and especially if you have someone that responds to customers and someone that responds to prospects. Our marketing team responds to prospects and our customer success team responds to customers which works well. We are giving customers and prospects the opportunity to direct chat with us from the website, so that is helpful for folks to have a direct pipeline to speak with us when they might otherwise not have sent an email. "Intercom isn't the perfect but they are definitely going towards it!" I like the complete solution it offers. From being the point of entry to join our company, the all-in-one solution for our support team and on top of that, a great solution to target our users and offer them the best solutions possible based on their activities. I think that they should definitely improve the Saved Replies management. We use it really a lot and there are no categories in those. It would help us to step up the game. I would also like to have the possibility to use the new Bots' skills not only to target leads, but with registered users. Explore all features and see how you can benefit of it. It allows us to manage in one solution, different aspects of our business that were previously managed in different platforms (the ticketing system, online chat, mailing campaigns...). "The Pinnacle of Customer Support"
I love how easy it is to maintain multiple helpful and personal chats with our large user base at once. Not to mention their amazingly powerful email campaign tool, the fact that it's very easily integrated directly with our apps and websites, as well as their amazing Help Center / FAQ tool. They recently did a redesign that's pretty difficult to look at for an extended period of time. It's too bright and lacks proper contrast. They wrote a blog post talking about how users, like me, who disliked the color scheme of the redesign were just "change averse". Mildly insulting in my opinion, as it's legitimately a bad color scheme. Although if the colors of the program are my biggest complaint (they are), then Intercom is certainly doing something right. Intercom is certainly the most robust live chat support program. They have the most amazing customer support and customer service as well. No matter the day of week or time of day, you'll get an excellent response from their support staff. If you’re not very technically inclined, I would recommend Intercom. Setting it up is very straightforward and fast, and their documentation is by far the best. Supporting our large customer base with issues ranging from extremely technical, to industry best practices, and everything in-between. It’s extremely easy to maintain multiple conversations at once, while keeping them fun and personal. Intercom also has amazing self-serve features. When a user asks a frequently asked question, Intercom will recommend the appropriate Help Center article that our team wrote. This automatically handles about 5% for incoming support tickets without a member of our support team ever needing to interact with the user. "Powerful in app chat tool"
We love how well intercom integrates with our in app experience for users. It's easy to use for onboarding new users, checking in, getting feedback etc. I also like the ease of setting up vistor auto messages that appear on certain pages after certain behavior to engage with live chat users. They could improve on workflow when it comes to creating more complex email and messaging campaigns. We've also run into some challenges when trying to do some custom integrations with tools like segment. They need more functionality when it comes to using this tool for sales and marketing vs. customer support. Great on customer support. Lacking in sales and marketing. If you have a web or mobile app, this is a solid option. If you're looking for more of a marketing chat tool I would consider something like Drift as a stronger option. customer support, support automation, documentation, support library, auto chat, lead capture, etc. "Engage Visitors and Users In Real Time"
I think intercom is a great tool for engaging Folks on your website or users of your platform. You can chat with them in real time answer any questions they have or even book a meeting with a prospect. Intercom makes communication a breeze. I don't specifically dislike anything, however that being said there are many features that remain to be built. They have a long road of product development ahead but I'm excited to see what they can do! I think Intercom is an amazing platform and I can't wait to see what they come up with next. We help engage prospects on our website and provide support for our current clients with Intercom. It has allowed us to build lasting relationships with clients, the ability to respond to an issue in real time is a game changer. "Intercom make it so easy to connect to your customers"
The intercom app is incredibly sleek on both ends of it - using it to talk to users, and on the other hand using it as a customer to talk to other companies (or the intercom staff themselves). Not to mention the help centre / auto-message function of it. It's incredibly easy to send messages to the right groups of people and keep your customers in the loop with any changes. The help centre / knowledge base section isn't as advanced as I'd like it to be - i.e. no automatic recommend articles and things like that. We're able to easily and immediately interact with our customers in real time and solve problems faster. A lot better than previous ticketing systems I've used where things often were taking days to get sorted - now things get solved in minutes. "Crucial tool for customer support, success and retention"
Our team is primarily in the live chat while we also leverage the support articles and saved replies. We automate message routing to different teams depending on the type of customer or the severity in their message. Intercom has been a staple for our team. Unfortunately Intercom is missing the ability to pull detailed reporting so we had to build an internal tool for this. In addition, none of the reports can be exported via .csv. We're able to identify the customer and their usage of the product and determine if the issue is related to their computer/browser prior to asking them a reply message. In addition, we can send them an article to assist answering their questions. We're able to inform users in 180 countries how to use the product without rewriting the response every time. "The one of the best tool for you and your customers"
The main opportunity is the exchange of information between all the employees of our team. We have several offices and an easy exchange of information is very important for us. This service is not just a tool for contacting your clients, it may soon grow into an excellent CRM. With Intercom, you can easily collect all the necessary information about your customers. Nice API and documentation. Difficult to use. The user interface is a little unorganized, it was difficult for me to understand it. As the interface began to slow down, it's very bad because our client base has grown and I would not want to search for a particular service. If you want to organize communication in your development team, to facilitate the search for the information you definitely should try Intercom. Just a great support team, quickly solved any problems. We use Intercom to communicate with our customers. We encourage them about new updates and features. Our clients should be aware of the fact that our project is being grown. We also use this service to receive feedback from our customers. "One of the best messaging for sales, marketing and support"
You can easily view, monitor, comment and initiate messages from one team account, and repetitive tasks can be easily automated to save time and resources. Multichannel transmission allows you to contact customers and no matter where they wrote to you. The service integrates with Facebook and Twitter, and messages from social networks are automatically redirected to the Inbox for internal communication, as well as emails from any address. Access restriction features, built-in chat for website visitors and setting up a company's branding, as well as analytics for query quantity parameters and average response time are available. You can instantly engage your best leads with targeted messages. The software helps to qualify the leads for you, routing the right ones to the right sales person while keeping Salesforce in sync. To register a trial period, a credit card is required. Intercom is an all-in-one solution that provides various tools and functions for communicating with customers. When we start using Intercom, management and access to our customers is made easier. I'm also surprised at the ease of installation on our website, and I did not have any problems with this. The data is then presented in an easy to digest form. With that information at hand you should be equipped to make an informed purchase decision that you will not regret. It is an exceptionally total client emotionally supportive network, in which a wide range of issues can be unraveled. Intercom is an incredible programming that enables us to incorporate the majority of our correspondence with our clients, to one easy to-utilize stage. The Help Center incorporation that associates straightforwardly with our help detachment makes it simple for our clients to discover what they need rapidly and has eliminated our less compelling discussions since they are settled through articles. Generally speaking Intercom is a natural item that makes it simple to associate with our clients when they need us. They can take a while to respond to support inquiries. Truly, I recommend Intercom to all new companies and organizations. They had a gigantic effect on our business. It is in all respects mechanically propelled programming and they are presenting new highlights occasionally which is in accordance with new necessities of the business. We are utilizing Intercom for client administration and it works fine. The esteem we gain by utilizing radio causes us as a group to remain sorted out and over everything as we are a profoundly community office. Clients truly love talk highlight as it is incorporated in our administration framework. We can advise clients about new highlights with in-application pop'ups and furthermore effectively send customized messages dependent on the separated gathering. We have many portions of clients so with Intercom is anything but difficult to achieve each section. "The best Live chat tool on the market." The App store ecosystem is quite appealing. I can see how Intercom can quickly become our single largest source of lead generation on our website. Operator Bots are a bit simple today (if this then that). I'd love to see more integration between Apps and the Operator Bots. Avoid generalist operator bots / auto-messages. Start with your top 10 most visited pages and design specific messages for each one. If you're worried about spamming users, tag users who see a message and only reach out to users who aren't tagged or who haven't been to your website in at least 7 days. Qualifying site visitors automatically and generating qualified sales pipeline using Operator Bots. * We monitor all Intercom reviews to prevent fraudulent reviews and keep review quality high. We do not post reviews by company employees or direct competitors. Validated reviews require the user to submit a screenshot of the product containing their user ID, in order to verify a user is an actual user of the product. Hi there! Are you looking to implement a solution like Intercom?